Today, I write about what I learned today on Shabbot, 7 Elul, 22 August, my third son’s 34th birthday. He was an unexpected child as I had a few months earlier taken the baby bed to The Salvation Army. This young man would be the blessing of our lives. He would make me smile often because he was a very sweet child. He was very easy to raise. Today they just had their fourth child, Beau Ryan, on June 3, 20l5. It was 16 Sivan 5775, the year of the Shemittah where all things are lifted up or all things finish falling. Ryan means, Little King. Did I know what Elul meant when he was born in 1981? No! But, God knew his name and God knew the name of his son, Beau Ryan. It will be a name that is lifted as he decides to serve his king, Yeshua. Today, we learn about the Torah portion Shoftim, ‘Judges.’ The verses we studied were Deuteronomy 16:18 – 21:9; Isaiah 51:12 – 53:12. The Complete Jewish Bible also suggested these scriptures for the New Testament known as the Brit Hadashah: Matt 5:38-42; 18:15-20; Acts 3:13-26; 7:35-53; I Cor 5:9-13; I Tim 5:17-22; Messianic Jews (Hebrews) 10:28-31. First, let us look at what occurred leading up to this time segment and a few days after it. What type of men were on the earth and what can we learn from them. What type of earthquakes did God allow? Christians follow their church leaders and rightfully respect their authority. But what if that leader becomes a fox? We can follow leaders but if they teach anything other than Torah then we should not be part of that flock. When you pursue something you are very intentional. Pursuing God will include knowing everything about Him. A man of GOOD pursuit will desire to be like Him. A pursuer runs and does not walk. If we are to be kings and priests of this earth, what do kings do? They are to write the Torah. They are to read the Torah to the people (family). They are to obey the Torah. King Herod did not do this. The Herodian family appears in history before Christ. These people were not being read the Torah. Plus, they were leaning on oral instructions. Herod even felt threatened by his own children of whom he thought would take his thrown and thus, he had them killed. Solomon wrote and read the Torah to the people, but He did not write it correctly nor did he obey it. His wisdom was of the world and amassing things of the earth. He gathered many wives from other nations and he gathered many chariots and horses. He broke Torah by even attending his wives idolatrous rituals and offered his own child’s blood as a sacrifice to them. He forsook the instruction of laying the land fallow in the 7th year. These acts are why Solomon would have the kingdom removed and we see the 70-year dispersion of Israel to Babylon at the time of his grandson, Josiah. In our time-line, we have witnessed Babylon through Saddam Hussein’s resurrected head. His dynasty would be crushed by the last days of it’s 70th year. It’s sifting of the earth was done. Mosche had the first place for God to tabernacle with man on earth. Solomon would have the second constructed and yet what is known as the First Temple would be emptied for a time. Then we see it restored and used in somewhat of a fashion….some say God’s Shakinnah glory was not in it. When Yeshua hangs on the cross and dies, the Temple veil is torn in half and they could see into the Holy of Holies. The gates would not stay closed. God’s spirit went with Yeshua and whatever presence of God was there was removed completely. The Churches favorite apostle, Paul/Sh’aul, does not talk about it’s destruction and he was around 63 AD. It will be 70 AD that General Titus is instructed by his father to tear it down. This stature on the face of the earth was no longer where God would present Himself as the people had gone too wild. In 71 AD on the same day it was torn down on the 9th day of Av, General Titus would salt the Temple’s floor so as to purify any decay left from it’s final battle. The kings were done ruling and now the world awaits The Messiah to return to re-build this structure. Elul, Tishrei and Adar I are the only month that I do NOT have record of an 8+ earthquake in a Shemittah year. We know that Jerusalem will be lifted up and split in half so all will see it. The King of Kings will once again reign for Jerusalem, the footstool of God. We will wait another seven years from 2015 if it doesn’t happen by September 14, 2015. Of course, when men put God in a box He seems to jump out in ways that they never imagined. I tell you these things because it is part of our lessons this week and also as we look at the kings who fell this week, we can not deny their symbolism to us. Principles and patterns are what we must look at. When Christian have ‘revival’ meetings some think of it as telling others about the blood of Jesus. When people think of Job taking a message to Ninevah, they attach it to the blood of Jesus. I am more than all good with the message of the gospel being about the blood of Jesus; but there is another message that is over-looked by zealous Christians. Revival begins when we start back where we were….dead. We found out way and then the church left her first love. My grandson came home from church to tell me that Jesus is knocking on his heart. It is true that God desires for us to open to him. But, that scripture is about the church. It is about the assembly opening and returning to it’s first love….The Torah. It is what revives us on how to live on God’s earth once we are in the kingdom. We must remember that the bible is absolutely written to those that believe in God. It’s instructions by The Creator King to those that will follow those instructions. Those instructions lead the people to salvation. That salvation leads to the sanctification of our daily lives lived in God’s instructions. It is the parts of the Torah that can be applied to our lives that protect us from our enemies. We want to look into Tomorrowland, instead of Tushavah – Return to what God had for us. There is nothing new, but there is something to return to. For an unsaved person who has not turned their life over to Christ/Messiah, they are revived from eternal death to eternal life. Tomorrowland should be called Yesterdayland. There is nothing new under the sun, but there is a continuing instruction from our Creator that began in the universe, continued with man from his beginning and will continue into the eternity of future. Today, let us look at kings on the Elul calendar that deal with how to live our lives as kings and priests on this earth. 2 Elul – Elvis Presley 42, 1977 dies of drugs while on toilet. King of Rock known for his tight pants died in dishonor with his pants down. 13 Elul – Michael Jackson, King of Pop, 55, 1958 born. He told the world he had sold his soul to the devil. Tight pants of whom also succumbed to drugs. 13 Elul – Gerard Brandon b. 1788. Dies month of Nissan 15, Passover Day. Mississippi 1st and 6th governor, Selma plantation large number of slaves. First governor to give Indian land to whites. 13 Elul – George Washington 1796 – Farewell speech as Erev Sabbath, September 16. Dies March 1797. Mt. Vernon had 9000 acres grain, flax hemp, 2 ships 20,000 gal year of whiskey a year. 300+slaves. more than 900 miles per second from sun. 13 Elul – 2014 Arizona floods 2 die on SUPER MOON. Record 44-100 year floods, Phoenix to Gold Canyon. 5” in 5 hours in Gold Canyon. Chandler 3”. Glendale 1-10 closed. 13 Elul – 2014 Hurricane Norbert. Mexico record flooding, AZ, MO to Michigan basements flooded. What I want to say at this point is that as we walk into more of Elul, it will line up exactly to the year that I believe Jesus/Yeshua died on the stake. Our King died in the month of Nissan at Passover. That is what we should be recognizing, instead of the traditions of men, Easter. I will write about Yeshua dying in the Shemittah year and how that year is identical to our calendar as we walk into our September. But for now…back to Elul. It holds so many things….including the Creation Days…. My thought is that if we are in the exact year of what the disciples were seeing in their life time – looking at Acts…then perhaps that is what we’ll be seeing in our time in the months ahead. We need to study the patterns of God because He is not Greek, my friends. He is circular thinking so His children can track Him. He wants them to remember the things He does. He gave us His written word to track him. He gives us his solar and lunar eclipses to track Him and He gives us His Feasts Days to track Him. His months also track Him…..
Elul is representative of our King desiring to come close to us. These men were judged and died for their being anti-torah and some were born to be kings of this earth. God never desired for us to be kings. But, he gave into man’s desires as chaos was breaking out and Mosche was overwhelmed. It was the Gentile father-in-law Jethro that established order. Much later, they desired a human king and God gave them a man named Shau’l/Saul. He would come to go senile and even eat grass as an animal and then repent as He recognized who had put him in any of his positions on the earth. Back to the Hebrew calendar of Elul events. 1 Elul – Japan 1914 declares war with Germany honoring their agreement with Britain. 1 Elul – 2008 Muslim Ramadan begins (Sept 1 – Sept 29) Ends on Day of Remission 29 Elul. The months aligned day for day. No excuse not to see. Day of Remission is the last day of the 7-year Shemittah cycle. It’s the last day for falling. 1 Elul – Mosche ascends Mt. Sinai – 40 days to get instructions on new stones. 1 Elul – Yeshua possibly to desert for 40-day fast where Satan tempts him. 2 Elul – 1950 Assam India 8.6 earthquake kills 1526. Eastern India Himalaya right-lateral slip. 2 Elul – 2005 Southern Decadence still held among Hurricane Katrina dead. 3 Elul – 1980 Ramadan Ends, July 14 – August 15 1980. 5 Elul 1939 Sept 1 Nazi tanks begin. Germany and Japan united. 5 Elul 1945 – 6.5 Japan earthquake. 6 Elul 2013 Holocaust Number One Wanted Nazi dies. Laszio Csatany 98. Budapest Hungary Spring 1944 15,000 Jews sent to Auschwitz. Found guilty in Feb 2013. 7 Elul 1844 Sonja Tolstoy b. Wife of Leo Tolstoy Russian novelist: War and Peace. She did not agree with him….he was pro Torah and Jews. 7 Elul 1988 6.9 Nepal-Behar 1500 fatalities Sabbath Shoftim; judges. Same location January 15 1934 8.0 claims 10,800 lives. Same location Shemittah year Sabbath Acharei Mot-Kedoshim (After the death/Holy.” 6 Iyyar, April 25, 2015, 7.8 ++ 5,000+ lives. This is Mt Everest the highest point of the earth that men like to boast. 7 Elul 2014 Beheading – ISIS kidnapped 31-year old freelance Journalist Steve Sotioff 8/20/13. Syria parents hid his Jewishness…He prayed toward Jerusalem. (6th Shemittah cycle). 8 Elul 1963 Martin Luther King, “I Have A Dream’ speech at Lincoln Memorial, 250,000 attend. 10 Elul 2008 CERN Collider turned on 10:28 am. ( It will be shut down on Autumal Equinox, September 23, 2015, 10 Tishrei, Yom Kippur…incredible.) Shemittah year to Shemittah year..2008-2015. 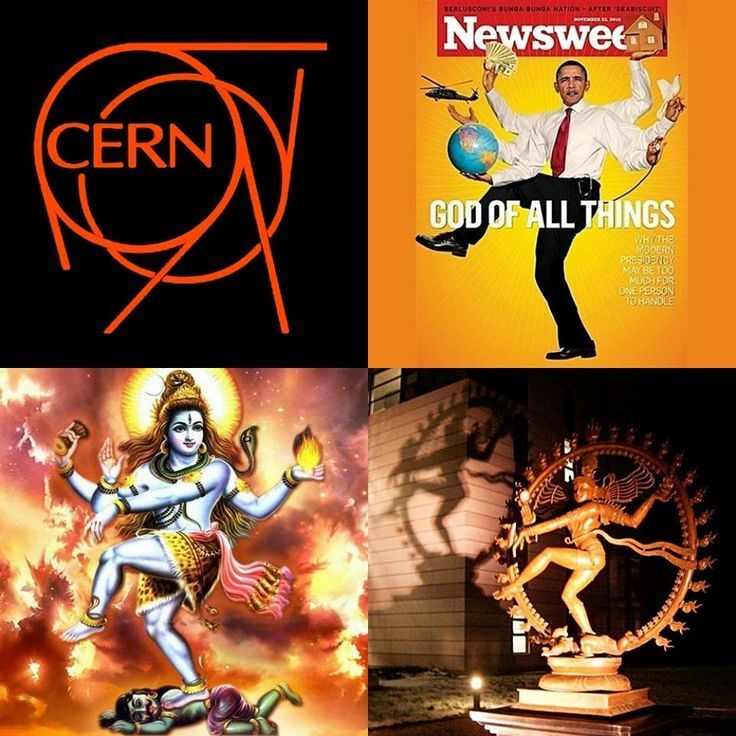 11 Elul 1954 CERN born – Community European Research Nuclear, Cernnous god of death given by India. The kings of the world came together to build a 17-mile circular track to push the end from the beginning in nuclear form to harness anti-matter (no matter). European Community for Nuclear Research. They rearranged letters to honor the death god, Cernnous. 12 Elul 1933 VII quake felt 135,000 sq kilo. Two die at coat mine panic 30 miles from Richmond VI. I have to take a break…I’ll be back…. Study the scriptures I’ve given you….then you can see God reveal Himself through these events. Beautiful field of lavender picture given credit to Dan and Brenda Cathcart who took it in Israel in the last 30 days. Yes IsaEL, God is giving you blooms beyond beauty…. Previous Previous post: Year of Light 2015?